It was Pythagoras who first proposed that the Sun, Moon and planets all emit a unique resonance based on their orbital revolution, a theory that became known as the “Harmony of the Spheres”. 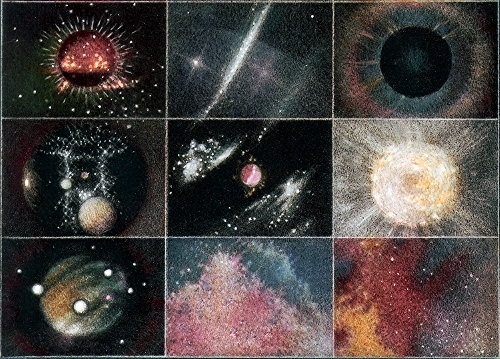 In his Republic, Plato also alluded to the connection between music and astronomy: “As the eyes, said I, seem formed for studying astronomy, so do the ears seem formed for harmonious motions: and these seem to be twin sciences to one another, as also the Pythagoreans say”. Fascinated and inspired by this idea of ‘spherical music’ (or musica universalis), British violinist Daniel Hope set out to record Spheres, which was released last February by Deutsche Grammophon. As Hope puts it: “My aim was to make an album touching on this sublime theme, while also discovering what composers nowadays might write when thinking in this context.” The final result is remarkable not only for its original concept, but also for its incorporation and imaginative combination of many diverse, yet equally intriguing, compositions. For the purposes of this special recording, old and new composers were drawn together and some of the works appearing on the album were given their world premiere or special new arrangements. Spheres features music from a wide range of styles and composers including J.S. Bach, Gabriel Fauré, Ludovico Einaudi, Phillip Glass, Michael Nyman, and Max Richter (who also collaborated with Hope on his interpretation of Vivaldi’s The Four Seasons). Beautiful, mysterious and captivating, the music of Spheres can be seen as an ideal companion to the visual artistry of abstract filmmakers like Jordan Belson (1926-2011), who had also made a film named Music of the Spheres in 1977 (you can watch a clip here). For those who find classical music passé or contemporary composers too difficult, listening to Spheres is certainly bound to make them reconsider. This entry was posted in Album reviews, Film & Music and tagged Bach, Belson, Einaudi, Film, Glass, music, Nyman, philosophy, planets, Plato, Pythagoras, Richter, spheres on March 15, 2013 by The Muser. Oskar Fischinger (1900 – 1967) was one of the most visionary and innovative figures to emerge in the filmmaking world during the first half of the 20th century. Acclaimed for his abstract animation films, his work anticipated in many ways modern-day music videos and motion graphics. After Hitler’s denigration of abstract art, Fishinger moved to Los Angeles in 1936, where he worked on animated films for Paramount, MGM and Walt Disney Studios (he designed the J.S. Bach Toccata and Fugue in D Minor sequence for Disney’s Fantasia, but quit without credit because his designs were rejected as too abstract). Although he faced several difficulties with his filmmaking efforts in America, he managed to create significant compositions such as An Optical Poem (1937) (set to Franz Liszt’s Hungarian Rhapsody No. 2). An avid painter (he produced a total of around 800 canvases), Fishinger tried to relate painting to his work on film, thus creating layers of grids and geometric forms in pulsating color, and generating a third dimension of cosmic depth in light, space and rhythm. 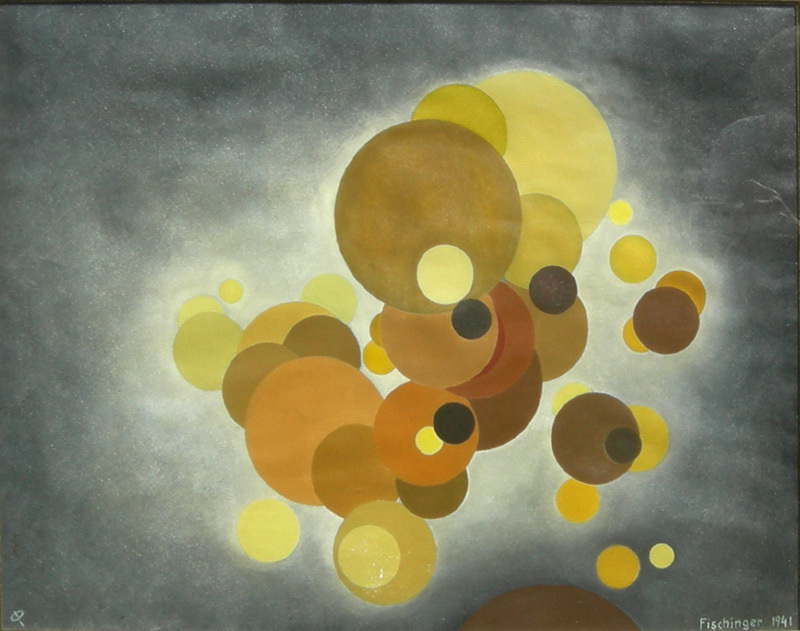 Fischinger’s magnificent Motion Painting No. 1 (1947), set to Bach’s Brandenburg Concerto No. 3, can also be seen as a study on the act of painting; he created it by taking a single frame for each brushstroke over the course of 9 months, its multi-layered style mirroring the elaborate structure of Bach’s music (although not strictly synchronized with it). Fischinger’s vision and highly innovative approach to film-making influenced profoundly subsequent creative artists; one of those who followed in his footsteps was American abstract filmmaker Jordan Belson (1926 – 2011), whose own cosmic visions would be realized through projects like the legendary Vortex concerts that took place in the late 1950s at the California Academy of Science’s Morrison Planetarium in San Fransisco (featuring music by Henry Jacobs and avant-garde composers such as Karlheinz Stockhausen). This entry was posted in Film & Music and tagged animation, Bach, Belson, Film, Fischinger, Liszt, music, Stockhausen on March 9, 2013 by The Muser.